Home » Newspaper's News » SARKARI KARMCHARIO MATE SARA SAMACHAR GPF PAR VYAJ DARMA THAYO VADHARO. SARKARI KARMCHARIO MATE SARA SAMACHAR GPF PAR VYAJ DARMA THAYO VADHARO. Good news for government employees has come, the government has increased interest rates on the General Provident Fund (GPF). For the October-December quarter, the GPF rate has been increased to 8 percent. Earlier this was 7.6. This will benefit millions of government employees. Let us tell you that the present government has increased rates of small savings schemes by up to 0.40%. What is a GPF or a General Provident Fund? 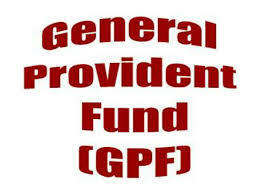 GPF or General Provident Fund is a provident fund account which can open only government employees. An employee can become a member of the fund by contributing a certain part of his salary to the account. Interest will be charged at 8% pa in GPF account. At the same time, the amount deposited in this fund comes under tax deduction under Section 80-C of the Income Tax Department. The amount deposited in this account is usually done after the retirement / retirement of the employee. The amount deposited in this fund comes under tax exemption under section 80-C of income tax. However, there is no tax to pay on this amount. There is a special feature attached to GPF account, also known as GPF Advance. This is an interest-free loan provided under the general provident fund savings. This is called loan because the borrowed amount has to be returned in regular installments. No interest is levied on the amount drawn out of the GPF account. If required, some amount can be obtained before mid-term retirement / retirement.